Every Tuesday, come multiply your senses by taking part in our CONSCIOUS EATING workshop. In the company of our dietician CORINNE LEBLAY DUCAUD and our DOCTOR-SOPHROLOGIST, discover another way to eat in full consciousness. 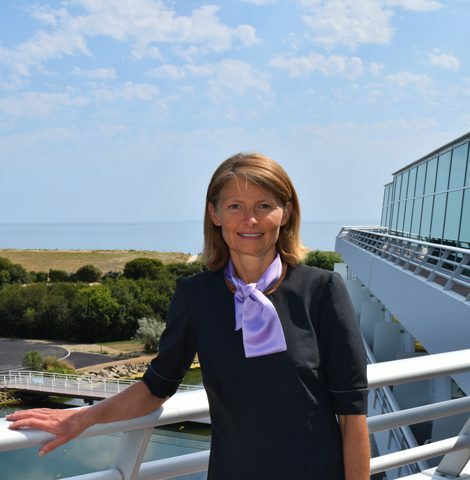 CORINNE LEBLAY DUCAUD is our dietitian and expert nutritionist at MIRAMAR LACIGALE. Several times during the year she invites the hotel guests to take part in fun and friendly health nutrition workshops. The WORKSHOPS often begin with a True/False quiz on nutrition. The answers to the questions are used to illustrate and explain in detail some of the notions and also to help participants to adopt good eating habits. Did you know for example that margarine and butter had the same calorie content, or that you need to swim for thirty minutes to burn off the calories contained in two scoops of ice-cream? The workshops last a little over an hour and are delivered in small groups of 7 to 8 participants. They are free and you must reserve with our CONCIERGE if you would like to take part in a session.